Because the Republic of the Seychelles has achieved most of the Millenium Development Goals and has the highest Human Development Index in Africa, one might conclude that children of the Seychelles enjoy favourable living conditions. Tragically, this is not always the case. 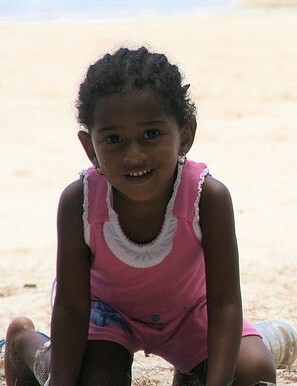 There are numerous failures in the Seychelles with respect to the rights of the child. Children in the Seychelles today face abuse, sexual exploitation and, perhaps most disturbingly, penal sanctions. The Convention on the Rights of the Child explicitly prohibits any form of corporal punishment of children for the reason that it degrades a child’s dignity. In the Seychelles, corporal punishment of children is prohibited by law in schools but allowed within families, provided that it is « reasonable ». Because what corporal punishment is « reasonable » is not defined by any law nor delimited in any way, there remains the potential in the Seychelles for parents to mistreat their children within the bounds of the law. It is very difficult for handicapped children to attend school in the Seychelles due to a lack of specialized teacher training, as well as the absence of provision for the handicapped in the design of buildings and public transport. Few studies have been conducted concerning child trafficking and sexual exploitation of children in the Seychelles, and currently there is no data concerning these. Without data, it seems an impossible task to help these children, whose basic rights have been violated. Fortunately, the Committee on the Rights of the Child is urging the government of the Republic of the Seychelles to conduct investigations into the exploitation of children as soon as possible. Despite the fact that the legal age of criminal responsibility in the Seychelles is 12 years, children between the ages of 8 and 11 years are pursued and detained by the justice system. 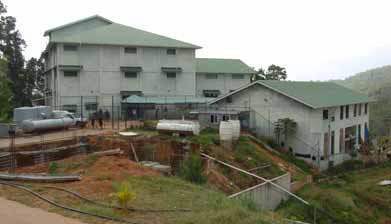 Worse still, because no new infrastructure has been built following the closure of the rehabilitation centre for young delinquents, children are often incarcerated with adults. In the Seychelles, many young girls are married or live with their partners outside of marriage, and it is common to meet adolescent girls who are either pregnant or already mothers to several children. While these unions are not arranged nor the girls forced, the consequences of these free unions are often disastrous. Indeed, pregnant adolescents are prohibited from attending school. The girls may return to school after they have given birth, however most do not. As a result, girls are less educated than boys.